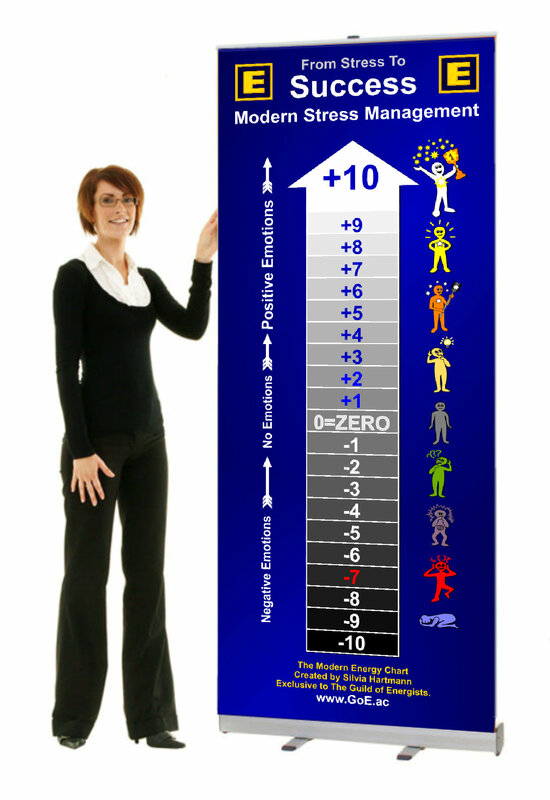 The Guild of Energists "MSM From Stress to Success" SUE Scale Pull-Up Banner measures in at 850 x 2000mm. The Premium Banner features a long-life mechanism, adjustable feet for uneven surfaces. Also comes with magnetic end-caps and a premium padded carry bag to keep your banner safe during storage. The Standard Banner, comes with a spring loaded mechanism and standard carry bag. Recommended for limted use such as one-off trainings and trade show type events. Give your trainings and events that professional look, with a GoE SUE Scale Pop-Up Banner! Prices includes free UK deliver. Please use the secure PayPal button below to complete payment or call us to pay over the phone.